We all have that one employee who thinks he’s a superhero. The one who comes into work no matter how ill he is. The one who insists he’s fine while struggling to stay upright. But while you both think he’s being a brave soldier and an exemplary employee, he could be doing serious harm to your business. When your staff come into work despite being poorly, this is known as presenteeism. Think of it as the opposite of absenteeism—when your staff don’t come into work even though they’re fine. What’s so bad about presenteeism? A recent report by CIPD and Simplyhealth revealed that presenteeism has more than tripled since 2010. According to the report, 86% of over 1,000 respondents said they had noticed presenteeism in their business over the last 12 months, compared with 72% in 2016 and just 26% in 2010. 1. If your employees come in when they’re ill, they won’t perform to the best of their ability. And if they don’t have a rest, they’ll just get worse. 2. Sick employees can spread germs to other staff members, making your workplace even more unproductive. This is most common during winter. 3. If your staff operate heavy machinery or handle dangerous materials while they aren’t fully fit, it’s a massive health & safety risk. The idea of telling your staff not to come into work may seem strange. And even if you do encourage your employees to call in sick, they may worry that you’ll punish them if they do. •	How and when staff should tell you they aren’t coming in, for example a phone call before 10am. •	Whether staff need to give you evidence of their illness, such as a fit note. •	What will happen when they come back, for example, a return-to-work interview. •	Whether you’ll give them more sick pay than the legal minimum. •	The rules for medical appointments. •	What will happen if an employee is off sick for an unreasonable amount of time. How you implement the policy is also important. For example, use the return-to-work interview to make sure your employee is OK and ready to start work again, rather than as a kind of disciplinary hearing. Another reason why staff insist on coming in despite being ill is because they’re worried they’ll fall behind in their work. Once again, the solution is to plan ahead. Make sure you always know what tasks your staff are working on, so you can get someone else to fill in if necessary. And don’t forget to reassure your ill staff member that the work will get done. It also helps if you spread the workload evenly, so your business isn’t dependent on one person. To reducing presenteeism, you need to shift from short-term thinking to long-term thinking. 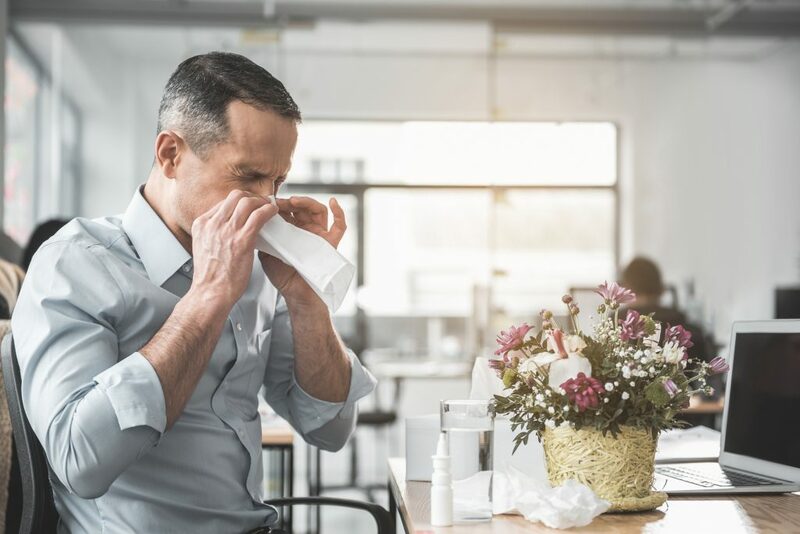 While your business may take a slight knock if an employee goes off sick for a few days, imagine how much worse it’ll be if they come in anyway, do a poor job, get even more ill and infect other staff members too. With a bit of planning and communication, you can balance the needs of your business with the health and happiness of your staff. So tell your superhero to go home, get some rest and come back when he’s feeling better.